Cucumbers. I have a LOT of them and I love the great fresh crunch that only a cucumber from the garden can give. This versatile vegetable is low in calories so eat up plus they can be used for non culinary purposes as well like taking down swelling on puffy eyes. 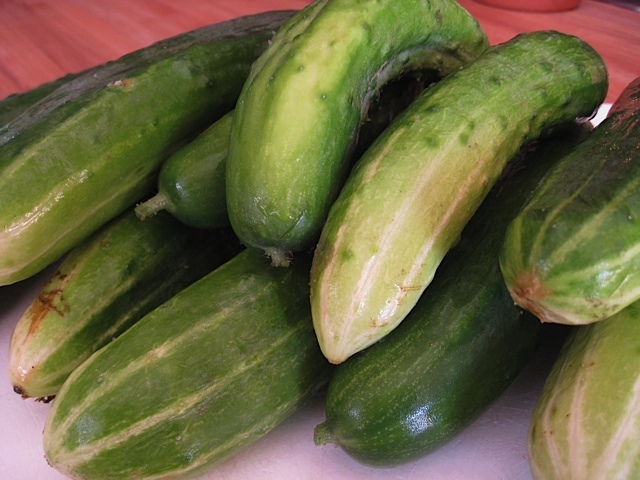 So if you have an abundance of cukes, here are ten ways to use them.